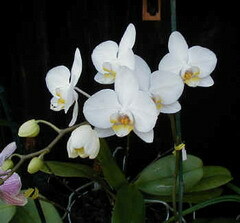 Cuba's oldest botanical garden, founded in 1901 at south central Cienfuegos province, owns 400 breeds of orchids. The centennial Garden completed its reserves by adding Palmira municipality Macrademia Garden, that hosts unique breeds. Cuba owns 49 endemic orchids, plus curiosities like leafless Afilas, and others that rank among the world's tiniest orchids. Efforts to enhance the local flora reservoir includes a nursery with some 500 seeds of Jagua tree as a single adult plant survives in the area, plus encouraging exotic and common fruit planting. The garden treasures over 2,000 plants, including more than 70 exotic species, 280 breeds of palm trees, Jaguey (65) and bamboo (23). Cienfuegos Botanical Garden, founded as a sugar cane study station, is regarded today as granddad of Cuban botanical gardens for its seniority and contribution to diversity of counterparts.